Should badly behaving authors scare us all into abandoning reviewing, what would a world without us look like? This is what you get when you type ‘sociopath’ and ‘entitlement’ into Google. I’ve come across this sort of comment a few times. Until now authors stalking reviewers had largely remained in cyber space rather than face-to-face. Kathleen Hale spent money finding the address a writer of a one-star review of Hale’s book, hired a car and landed on the doorstep of an understandably shocked and flabbergasted victim, who was then further victimised by Hale’s disturbingly vivid account of her obsessive and criminal actions in the Guardian which failed to remove identifying information. Richard Brittain took this one giant leap further. 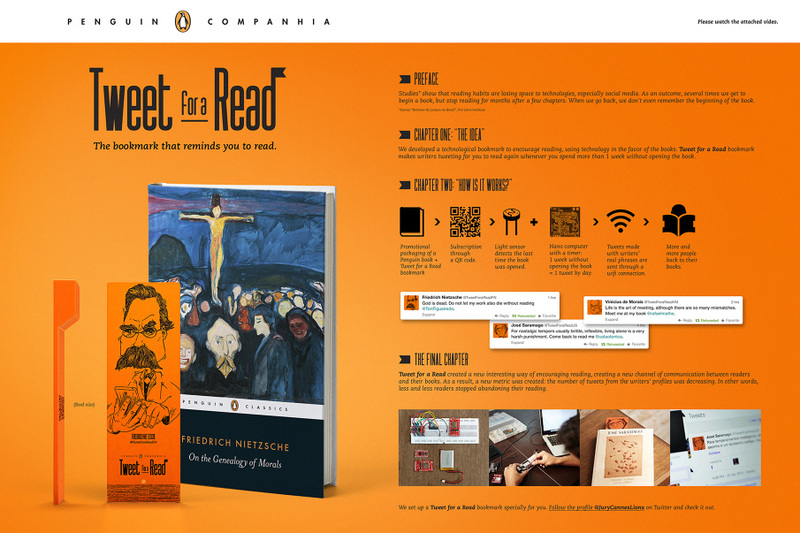 Brazilian Penguin-Companhia’s Tweet for a Read campaign takes authors harassing readers to a new level. They’re offering a smart bookmark to readers that senses how long it was since you last picked up the book you’re reading and lets the author know so they can tweet you to pick it back up. Anthony Weston encourages the use of representative examples and counterexamples, warns of the hazards of statistics (like I recently have), imparts the importance of impartial and reliable sources, explains the correlational relationship between cause and effect, presents deductive reasoning in the words of Sherlock Holmes, preaches the value of librarians, and can teach a thing or two to Badly Behaving Authors. Now available from Amazon [ US | UK ], The Book Depository [ US | UK ] and other retailers. I’ve wanted to brush up on my persuasive writings skills for a while as it’s something I’ve been using quite a bit in recent months and I always failed that part of my English language studies at school. I picked two books: this one (obtained from the library) and Persuasive Writing: How to Harness the Power of Words (which I bought). I’m glad I made this decision. Can I Change Your Mind? isn’t as useful as I was hoping, whereas quickly flicking through my other choice saw me finding some very clear and immediately handy tips. Of the four sections, the first is the worst. The layout and formatting didn’t help which is notably better in Persuasive Writing. Camp rambles so I skimmed, proving him right that ‘the reader never reads from start to finish’, but helpfully, someone who’d read this book previously had underlined the key points in pencil. Defacing a book is wrong, but in this case, acceptable.